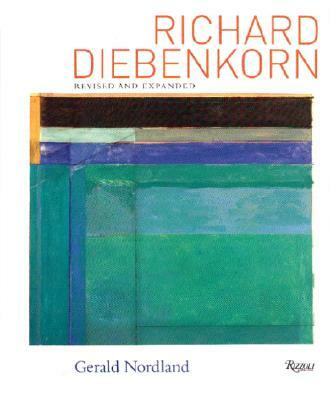 Richard Diebenkorn: Revised and Expanded by Gerald Nordland is a detailed look at the artwork and life of the acclaimed American artist Richard Diebenkorn. This book captures the modernist works of Diebenkorn, who passed away in 1993. It includes sections on the artist’s prints, his last years, and his influence on contemporary art. Richard Diebenkorn: Revised and Expanded is the ultimate source for art enthusiasts and academics who want an authoritative look at Diebenkorn’s career as one of the leading modern artists of the twentieth century. Author Gerald Nordland is an award-winning art historian, critic, independent curator, author, and educator who currently lives in Chicago, Illinois. He is a leading Diebenkorn scholar and a founder of the California Institute of the Arts. Gerald Nordland is a renowned author, art historian and critic, museum curator, and educator. The author of over ten books and more than 50 exhibition catalogues, he served as the Museum Director of the Washington Gallery of Modern Art, the Frederick S. Wight Art Gallery, the San Francisco Museum of Art (now known as the San Francisco Museum of Modern Art), and the Milwaukee Art Museum. He is the author or contributor to several books on modern art, and is recognized as a leading authority on artist Richard Diebenkorn. His titles include Richard Diebenkorn (a revised and expanded edition), Richard Diebenkorn in New Mexico, and Breaking the Mold: Selections from the Washington Gallery of Modern Art, 1961-1968.